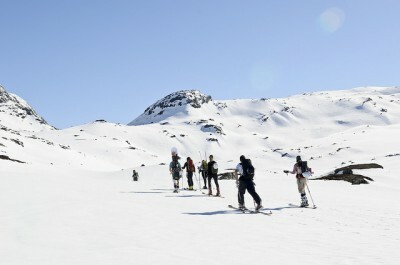 A final spring skiing spree in the mountains remains the much-hyped and traditional way for Norwegians to spend their long Easter holidays. Climate researchers predict, however, that by 2030, there won’t be any snow for skiing even in some of the most popular areas of the mountains of southern Norway. A lack of snow was already painfully evident this year at several ski resorts in southern Norway, some of which have been suffering financial problems as a result. 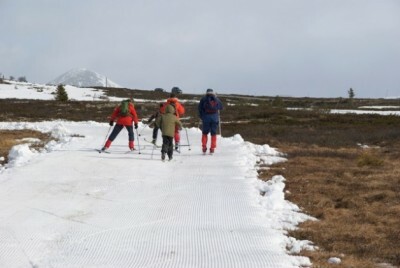 With Easter coming late, some of the most traditionally popular ski resorts in Western Norway couldn’t remain open for Easter skiers because there simply was no snow and temperatures were much too warm to make any artificial snow. The winter in and around Bergen was characterized this year by mild temperatures and rain just like in Oslo, where the surrounding hills and forests known as marka also had a poor ski season. Newspaper Aftenposten reported earlier this week that the ski season in the eastern hills and forest (Østmarka) officially amounted to only six days based on snow depth needed to prepare ski trails. That compared to 61 days last year and 105 days in 2003. In Nordmarka, the popular outdoor area bordering Oslo’s north side, the ski season lasted 81 days, down from 124 last year. There have been wide variations from year-to-year over the past two decades, with the ski season lasting just 84 days in 2012 and 54 days in 2007, but the times when skiers could simply expect good ski conditions from November through April or even into May seem to have passed. The depressing statistics Jansen can show to prove his point come just days after the UN’s special panel on climate change released its most alarming report on global warming ever, and called on countries around the world to immediately take dramatic steps to cut carbon emissions. In Norway, that means cutting back on oil exploration and extraction, moves that can threaten the country’s economy but help “save the planet,” according to environmentalists. Holmefjord, the disappointed hytte-owner in Kvamskogen, chose to remain optimistic and look on the bright side. “At least we don’t have to shovel snow this year,” he told NRK with a laugh.